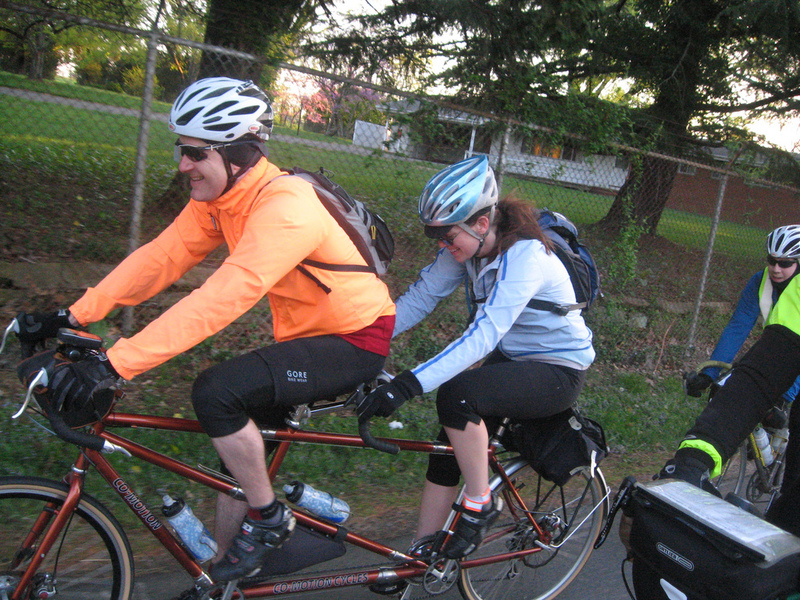 Felkerino and I ride tandem together a fair amount, with our longest tandem ride being a 1200 kilometer grand randonnee. I only share that with you in an effort to brag socially unacceptably establish my tandem credentials. 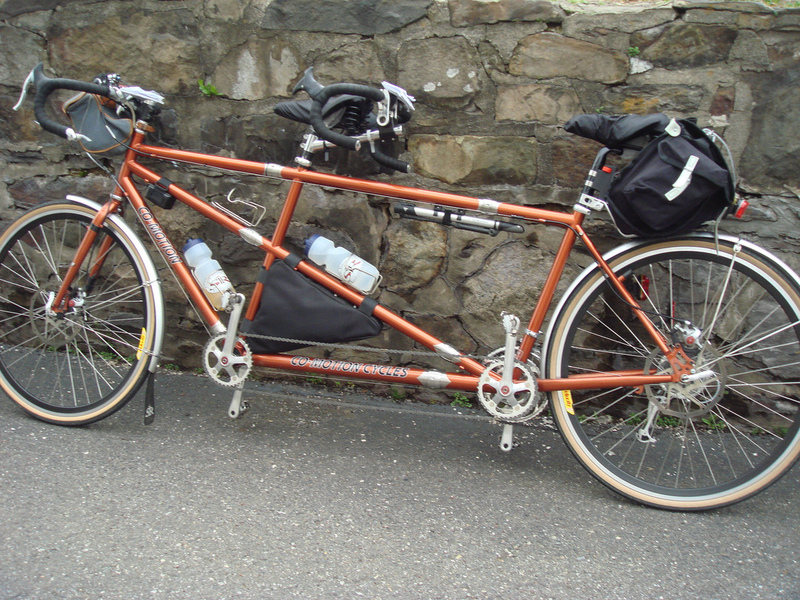 While we initially rode a Cannondale mountain tandem and built it up as a touring bike, we eventually made the investment in a custom Co-Motion tandem. This was due to a variety of factors. Felkerino could never seem to get the reach quite right from the captain position, the stoker zone was on the small side for me, and we wanted a tandem that fit 700C wheels. It was when we purchased the Co-Motion that I knew Felkerino and I were destined to be together for a while. At least until we got some good long miles out of that bike. The Co-Motion is an awesome riding machine. Its responsiveness compared to the Cannondale was notable from our very first ride on it. We step out of the saddle to climb and the Co-Motion is right there with us. With our Cannondale, it sometimes felt like we would begin climbing and it would take a minute or two for the bike to concur with our decision. Felkerino used to call it the lead sled for that reason. 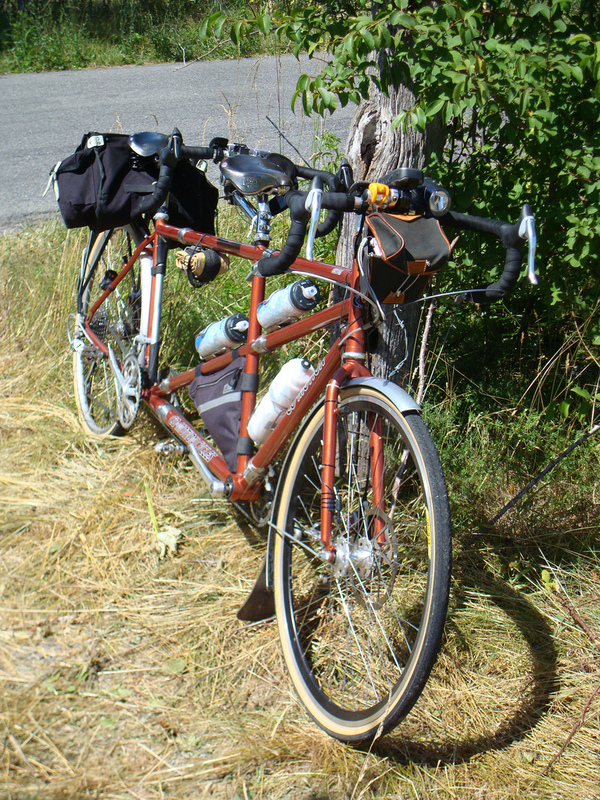 Our Co-Motion fits us both so well that we experience longer brevets and multi-day touring quite comfortably. Felkerino purchased the Nitto Wayback seat post with super setback in order to make his fit up front ideal. At least that’s what he told me. He may have just wanted an excuse to buy a lugged seat post, I’m not sure. I, however, am quite comfortable in the stoker zone with my Velo Orange Grand Cru seatpost. Its setback is just right for me. This is the only custom bike I’ve owned (I guess I own the rear half?) and I must admit that having a bike made for your body and riding position is pretty nice. The Cannondale did a good job getting us from point A to point B, but our Co-Motion is outstanding. The one area where the Cannondale out-performs our Co-Motion is with regard to loaded touring. We built our Co-Motion with the intention of using it primarily for randonneuring. In our heads, we hoped we could use it both for randonneuring and loaded touring. However, it hasn’t worked out that way. When we add four panniers or a heavy load to the Co-Motion, it simply doesn’t handle that well. Given that all of our touring to-date has been hotel touring, that isn’t so critical. We just make sure to pack light. If we do decide that we’d like to tour with tents and sleeping bags, we’re buying another custom bike loading up the Cannondale and leaving the Co-Motion for brevets and light touring. In the meantime, it’s all Co-Motion, all the time.